Farm-raised freshwater shrimp give an alternative to the seafood industry to harvest shrimp without damaging sea floors in the ocean. As of now, a lot of freshwater shrimp farms can be seen within the United States. In shrimp farming, the most difficult part is the hatching of the eggs. It requires knowledge of crustacean biology and saline water. Because of this, owners of farms purchase juvenile shrimp instead of eggs. Freshwater shrimp cannot be raised in tanks because this species needs a lot of space and very clean water. The ponds must contain filtration and aeration. Farm-raised freshwater shrimp need a pond that has a temperature of 70 degrees Fahrenheit or above and it must have a pH of between 6.5 and 9.5. Mortality of shrimp increases when pH increases to ten or above. Cooler water can cause the shrimp to mature slowly but it can produce larger species. Ponds need fertilization until it is fully mature because small shrimp need algae for food. However, when the shrimp reaches 5 grams or more, they already need regular feedings. They need a high-protein pelleted feeds twice a day. This kind of species has a strict a brutal hierarchy so cannibalism and aggression may occur as they grow. Ponds must allow at least four square meters per shrimp to prevent cannibalism. Pond-raised saltwater shrimp come from the countries that are near the equator. It allows the owners of ponds to grow more than one crop of shrimp every year because of the extended warm-weather condition. Almost 25 to 30 percent of the stocks of world shrimp come from saltwater shrimp farms and the rest from freshwater shrimp farming. Post-larval saltwater shrimp are purchased from hatcheries. The post larval-shrimp will be stocked on ponds during April and May. 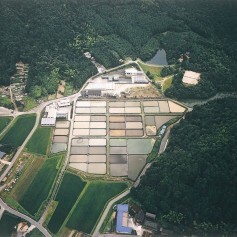 If the owner is using an extensive strategy, the pond must have a stock of one post-larval shrimp per square foot. For intensive strategy, the pond must have five species per square foot. Extensive strategy requires minimum management while for intensive strategy, feeding and water quality must be observed. Phytoplankton production is done before the small shrimp are placed into the ponds. In saltwater prawn farming, artificial feeds are also needed especially when the shrimp grows. Aerators are needed to provide oxygen to the water and pumps that will exchange the water to remove the wastes. Saltwater shrimp are harvested during October when the weather starts to get cold. 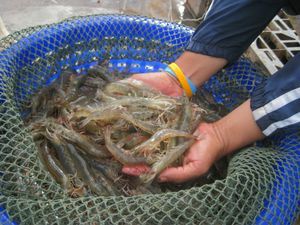 The ponds will be drained and the shrimp will be harvested with the use of nets or special pumps. Tilapia is growing in popularity as a seafood fish by the day, as is the practice of breeding and growing them on Tilapia Farms. There are however, many different ways to go about this. In farming tilapia, you will have the ability to choose among the different types of tilapia farms. 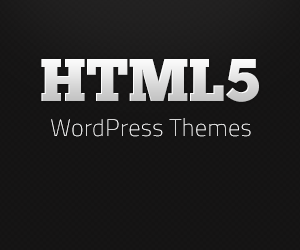 If you are not that knowledgeable about this, then you are reading the appropriate article for you. You can always acquire added information through the use of internet or a good Tilapia Farming Guide. Tilapia farming will be easy as long as you know all the concepts and ideas behind farming tilapia. Aside from the fact that you really need to be knowledgeable enough on the ways on how to breed and take care of tilapia, you should not forget to consider their home. In reality, there are two main types of tilapia farms which are the extensive aquaculture and the intensive aquaculture. 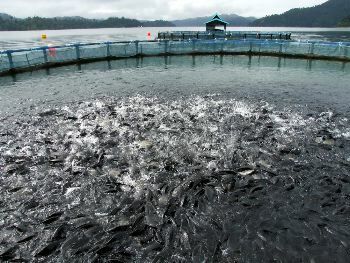 Extensive aquaculture is a type of tilapia farm which usually in a controlled area such as pond. The pond is maintained by the owner by pouring appropriate amount of water to it. The owner who is in the field of tilapia farming can feed the tilapia with food pellets or organic fertilizers. This is appropriate for those tilapia farmers want to control over the bunch of tilapia. On the other hand, intensive aquaculture is less controllable and the tilapia are fed naturally. Tilapia farmers who are in this type of tilapia farms usually create their own cages by putting up huge nets to divide their tilapias from others. Because it is less controlled, there is a tendency wherein the tilapia can escape though with the huge net. This is also advantageous to some tilapia farmers since they don’t have to feed the tilapia. The place will naturally feed them. You can always choose among these tilapia farms according to your needs and accessibilities. As of now, many prefer extensive aquaculture since you can put it up at your own backyard. Always remember that you should consider first everything before choosing the right tilapia farm for you by consulting a proper Tilapia Farming Guide and doing your homework first. One of the problems that you might encounter with a Koi farm is choosing the right location for it. When it comes to choosing the right location, water is one of the essential factors that you have to consider. This is important because you have to supply thousands of gallons of water into your farm. The location should be near a river or a canal where you can get unlimited supply of water. You will also need a sock which will serve as your filtering system. This will help prevent dirt and harmful organisms from getting into your pond. Apart from that, good soil should also be available around the area in order to hold the water. Once you have chosen the location for your Koi farm, you will need sufficient funds to operate your farm. Most of the time, Koi farmers seek the help of banks for this venture. Although this can be hard, it can be extremely helpful when you succeed. You can also seek the help of companies who are willing to lend you some fund or give it to you in exchange of your services by taking care of their own fish collections. Another great option would be to convince other companies to invest into your business. However, if a small farm is all you want, you can simply rely on your own savings for the funds. This way, even if you succeed or fail in your endeavor, there will be no complications as there is no one else involved in it. This is the last requirement for your Koi farm. In order to make your farm actually exist, you will need the help of a good team, good stocks and of course, a good management. The rest will depend on your skills on how you can take care of your collection properly, especially with regards to the food and the living environment. Once you have settled this, you can easily earn the benefits from your farm by selling your Koi fishes to the market. Take note that it is important to learn how to take care of Koi fishes properly to make them profitable. If you do not know how to breed, feed and take care of this type of fish, you can conduct a research online to gather information and apply it into your farm. You can also seek the help of an expert Koi farmer for more advice.